ISLAMABAD: The Higher Education Commission (HEC) has decided to task universities, particularly those located in Punjab to conduct comprehensive research to ascertain the reasons behind the rising smog in different parts of the country during winter. Various parts of the country, especially the province of Punjab has been facing heavy smog in the winter season for the past several years but during the last couple of years, it has become alarming. 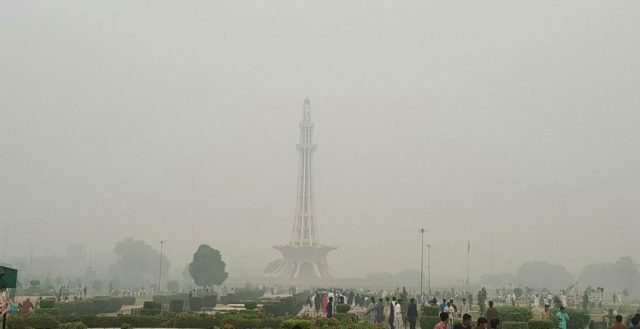 According to official sources here on Wednesday, the smog increases especially in the months of November and December every year due to the lack of rains and heavy environmental pollution. The other relevant institutions and researchers of universities would also be given funds for support in conducting the research, the sources added. Due to the smog, the people faced difficulties while travelling and road incidents also increased, the sources said. The smog also affects human health and increases the risk of many diseases including eye, nose, throat and skin problems. The number of patients with these diseases was increasing during smog season, they said. However, an official of HEC said that the efforts were being made for the promotion of quality research and modern standardized education under the Higher Education Commission (HEC). He said the plan for allocation of funds was under observation by the HEC for improvement in higher education and research in universities regarding the disasters of smog and its prevention. According to the Environmental Protection Agency (EPA), it can be dangerous to breathe in too much smog because it contains a pollutant called ozone, and elevated ozone levels can have a variety of negative effects on your lungs. Smog is most common in big cities, though people living in suburban areas also need to be conscious of its dangers.